A decade ago, few people used primers or even knew what they were for. Often they are classed as both skincare and makeup. In my eyes they aren’t technically skincare because they sit on the surface and cosmetically reduce the appearance of lines until the product either wears off or is cleansed off. Skincare products generally have a function, such as to remove dirt, rehydrate the skin, or to exfoliate, whereas a primer creates a transient effect. My curiosity got the better of me when I found a couple of budget primers. I decided to try them; it couldn’t do any harm because the effects are only cosmetic, and they were cheap enough to write off as a mistake if they didn’t work. A primer needs to be applied quickly in one go on the skin (otherwise it will be patchy), after moisturizing and before you apply foundation or concealer. It’s primarily a makeup base for foundation, and helps it to stay on longer. Think of it as poly filler for your face, and while you can wear it alone, it effectively seals in the moisture like putting cling film over your face, again until it has worn off or is washed off at the end of the day. For those who have smooth skin, it’s unlikely you’ll notice much difference to be honest. In Wilko they offer the ‘Prime of your life’ from the Kiss range that has a long descriptive title of being a ‘smoothing light reflecting primer’ and a ‘silky smooth mattifying face primer. Priced at £3 for 30 ml, the product claims to have silica spheres to diffuse light to blur any imperfections, and has Vitamin E and Apricot oil that conditions the skin. 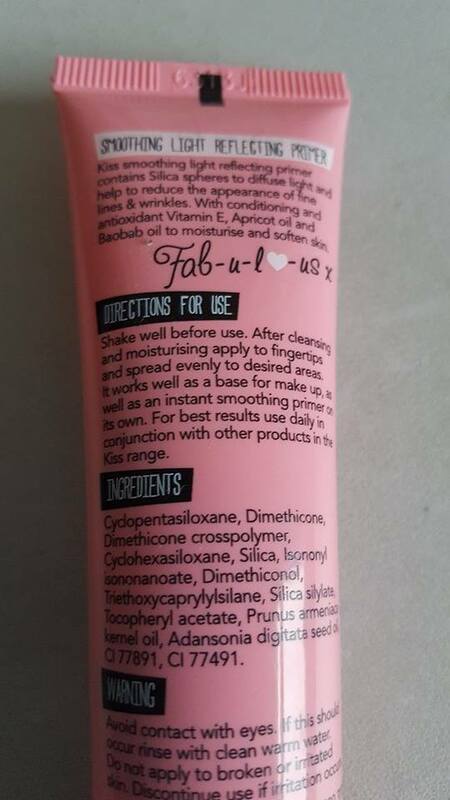 The primer is pink and slightly grainy, and the instructions recommend shaking the tube before you apply it. The texture is quite greasy, and sits on the skin for a while, so it’s not a great product to use if you are in a hurry. There was little difference between my using foundation without a primer on my skin to be honest. In addition when using the product, and you have to wait at least 10 minutes before the primer has settled on the skin, otherwise if you try to apply powder or foundation it will look patchy. Rating ~ 1.5/5: A very basic product that doesn’t deliver as quickly as other primers; perhaps it may do for dry and dehydrated skins. I have combination skin and it left an oily film and felt heavy on my face. I tried this with foundation and it didn’t make it last any longer than usual. When I used it alone it didn’t leave a matte finish until the product had settled, which took at least 10 minutes. In the budget discount store Home and Bargains, I found an Olivia Hale Primer priced at 99p for 35 ml. At less than a pound it was worth trying, and I will admit I was skeptical. It is clear and slightly greasy as all primers are, but once applied it created a smooth base, and within 5 minutes the product had settled to create a matte base. My foundation went on smoothly, and my skin surface looked smoother before application. It goes to show you should never judge a product by the price or where you bought it. Rating ~ 4.25/5: You can’t get a good product any cheaper that works as well as this. If you can find it (selected stores), I advise you stock up if you love using primers. A great deal and a steal! 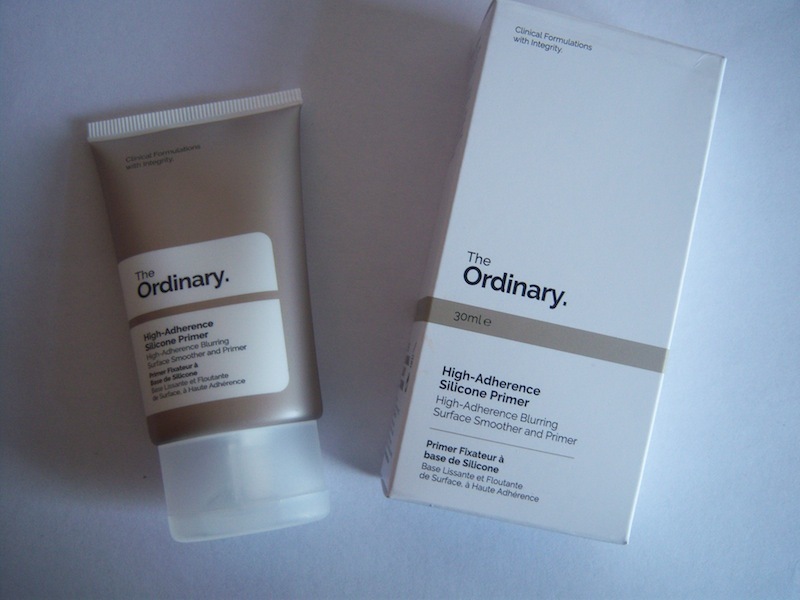 One of my other favorite primers is The Ordinary (DECIEM) High-Adherence Silicone Primer, priced at £3.90 for 30 ml. It leaves a matte finish in a matter of seconds—read my review here. However, The Ordinary products can be a little harder to get hold of; you can buy directly from them online, and Beauty Bay has started to stock them, as well as ASOS and Victoria Health. Many major cosmetic houses now offer primers, but never judge a product by the packaging or price. The only way to find a suitable primer is to test it on your bare skin before you apply makeup, and it can be a process of trial and error. Often how a primer sits will depend on your skin type, and also the texture of your skin surface. However, if you take care of your skin with weekly exfoliations and masks, you’ll have smooth skin and probably won’t need a primer. They can however be handy for special occasions when you need your makeup to last all day, but relying on a primer constantly to make your skin look smooth is a false economy. The effect is purely cosmetic, and while primers do help makeup to last longer, nothing can beat a natural smooth skin base.